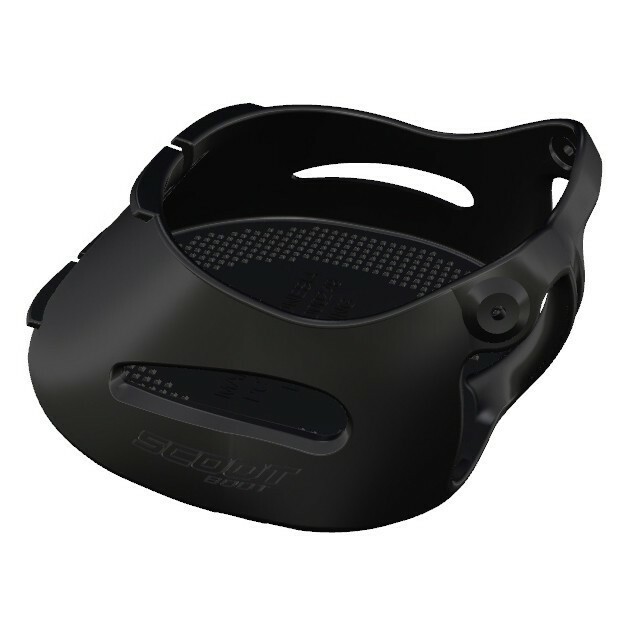 The Trail is a very easy to use hoof boot, supplied in singles to allow you to fit each hoof correctly. This superb value hoof boot has been designed to allow for up to 6 weeks growth for most horses and is recommended for medium distance riding- up to 25 miles per week (usually an average of 1 – 1 1/2 hours a day) so ideal for most leisure riders. 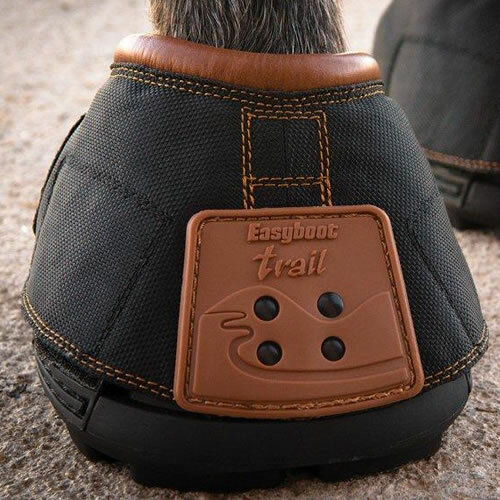 The Trail is a simple hoof boot to use, no force required just a quick and very easy double Velcro closure at the rear – nothing else to worry about! 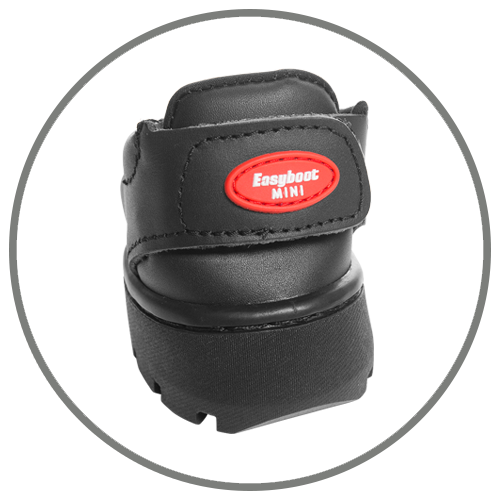 This revolutionary hoof boot will open right up for fitting so works well on fidgety horses or horses that find it hard to stand on three legs for long periods. The Trail hoof boot can be used with a variety of pads inside, making it an incredibly valuable tool for transitioning barefoot horses too. For everyday riding, a 6mm or 12mm medium density Old Mac comfort pad is recommended (pads should be used with every hoof boot to help prevent peripheral loading). Soft pads are good for sore horses, and firm pads can be used on heavier horses or to lift the hoof of a lighter horse up in the boot if required. 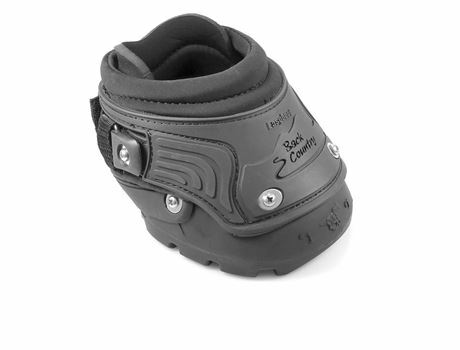 The traction is superb and the design is such that you can ride through mud, water, sand, rocks and anything else you can find without fear of losing a (correctly fitting) boot with a free stride and good breakover. 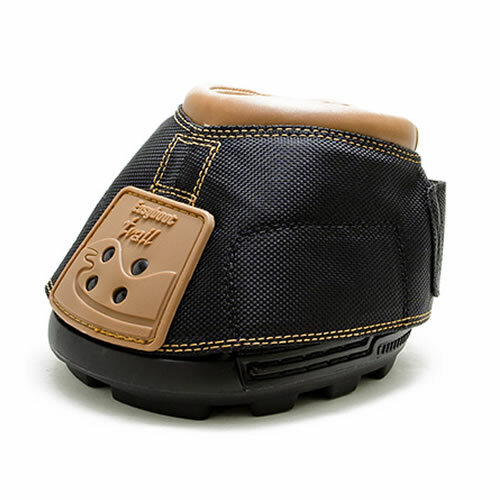 The Trail hoof boot fits neatly at the top with a soft collar which helps to prevent debris from entering the boot and has a toe strike plate to give excellent wear resistance. This Trail boot is also ideal to replace a lost shoe from a shod horse until the farrier can return, and can be used over shoes for extra protection (use over shoes will however invalidate the warranty). Comfort pads are advised for use in any hoof boot for the most natural and beneficial experience for your horse. For general use a 6mm or 12mm medium Old Mac G2 comfort pad is recommended for Trail hoof boots.